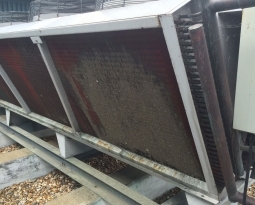 A major manufacturer in the plastics industry contacted Permatron to design a custom coalescing air filter to work with a new direct capture filtration system. The company, specializing in color formulation and resin-specific additives, has locations throughout North America as well as international locations. Smoke and fumes are sub-micron particulate by-products created by manufacturing processes such as welding, rubber and plastic processing, high speed machining with coolants, tempering, and quenching. The company’s production assembly lines are equipped with source capture filtration systems to reduce the amount of mist, aerosols and fumes in their workplace atmosphere. The mist pulled from the source would coalesce or unite into a hardened substance in the ductwork during every production shift and pose a fire hazard. 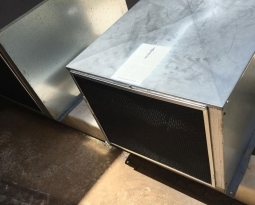 As part of a fire prevention initiative, the company was using disposable air filters and spending around $60,000 a year to frequently replace the saturated disposable filters. 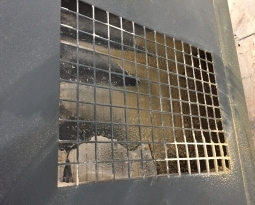 Not only were they spending a substantial amount of money on these disposable filters, but they were not effectively filtering the fumes and the ductwork continued to be the landing place for the off gassed byproduct. 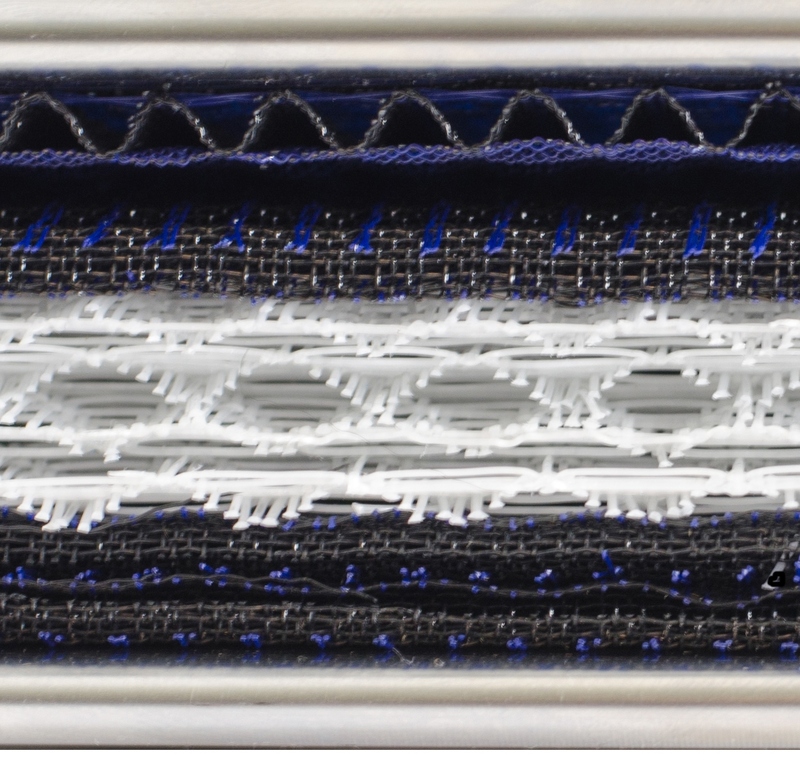 Permatron designed a custom coalescing air filter utilizing the natural affinity between the plastics being processed and the plastics used in some of the washable media in their filter designs. 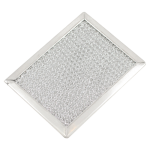 The filter has a stainless steel frame and contains variable layers of media inside. 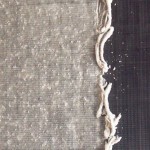 Sandwiched between two structural outside panels are multiple layers of honeycombed, corrugated and tubular monofilament polypropylene which offer significant surface area within the filter for coalescing to occur. Tested in operation, the filter yields 2.5 lbs. 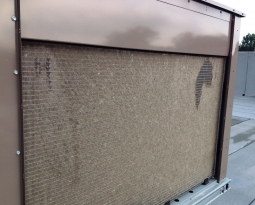 of “gunk” in an eight hour shift and keeps the ductwork free of buildup. 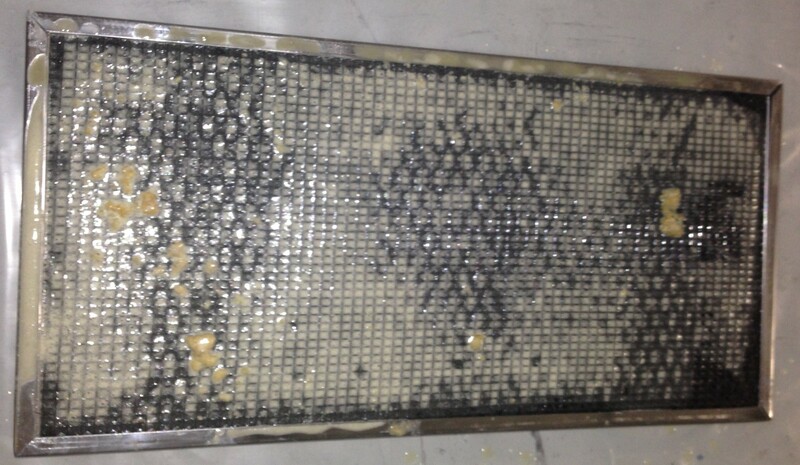 Facility personal routinely wash the filter’s collection surfaces with soap and water after every shift. 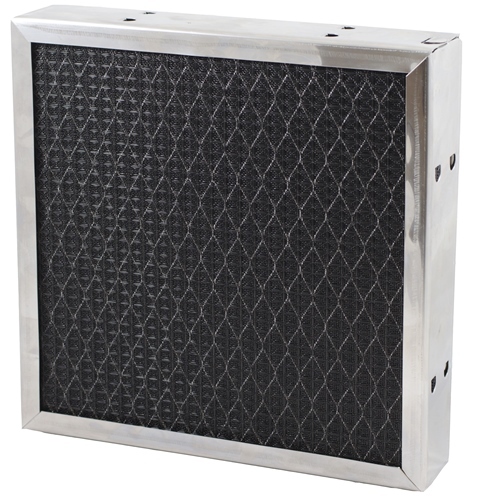 Permatron’s coalescing filters can be custom designed and sized to fit any application specifications. Contact us for assistance with your application.